In September, all kids should back to school. Most of the Moms and Dads worry about their child/ Children’s safety. For most of the year, children spend more time at school than anywhere else other than their own home. 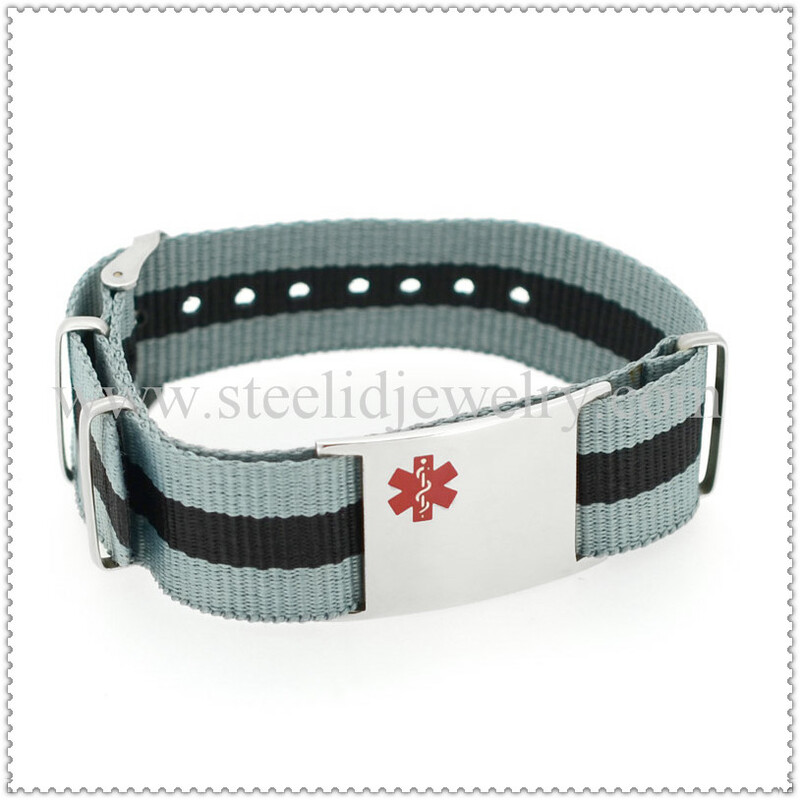 At school, children need a secure, positive, and comfortable environment to help them learn. 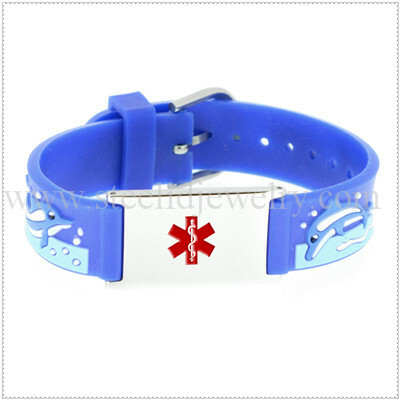 The parents can buy a kids medical ID bracelet /necklace for your child which with your kids information (like Age, blood type, history of allergic source and ect…) and parents contact information. 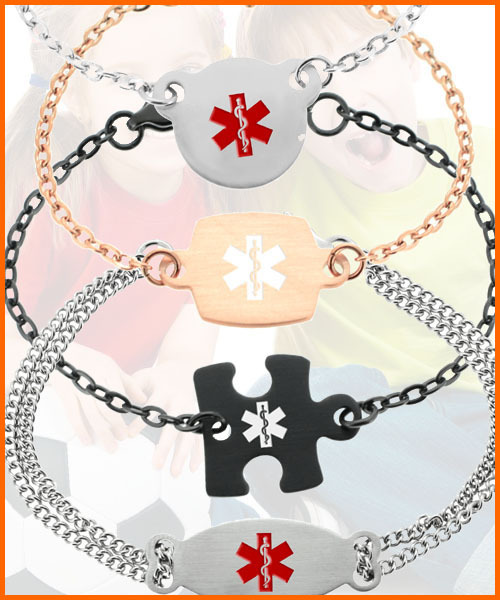 When emergency, the kids can not talk, the kids medical ID bracelet /necklace will help the child to talk all the important information, the school nurses or doctor can timely handle some wounds or to save the child’s life. 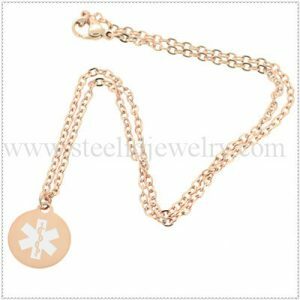 Steelidjewelry.com special designed a series of the medical ID jewelry for Kids. It must have one item suit and loved by your kids. 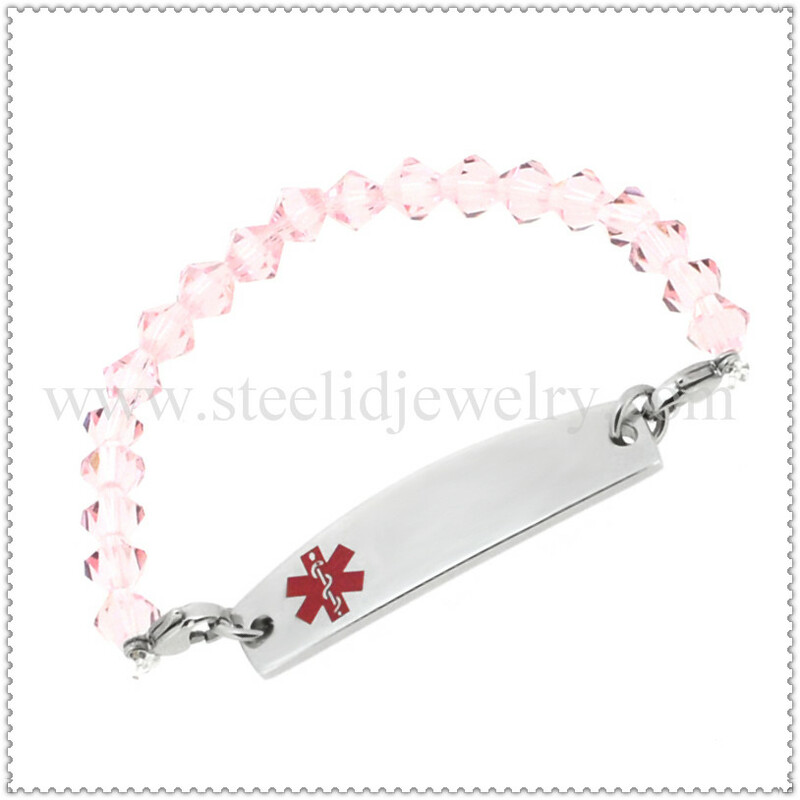 This entry was posted in Uncategorized and tagged 3D cartoon medical ID bracelet, crystal medical id bracelet, kids medical id bracelet, Medical ID charms, medical ID jewelry, medical id jewelry for kids.